Based on the famous play by William Shakespeare, MACBETH tells the story of a fearless warrior and inspiring leader brought down by ruthless ambition and desire. The thrilling contemporary adaptation starring Michael Fassbender (12 YEARS A SLAVE) and Marion Cotillard (LA VIE EN ROSE) received critical acclaim following its theatrical release in October and was recently nominated for six MBIFAs (Moet British Independent Film Awards) including Best Director, Best British Independent Film, Best Actor, Best Actress, Best Supporting Actor and Outstanding Achievement in Craft. In addition to Fassbender and Cotillard’s powerhouse performances, the film also stars David Thewlis (the HARRY POTTER series) as King Duncan, rising Irish star Jack Reynor (WHAT RICHARD DID) as Hero Malcolm, Paddy Considine as Macbeth’s closest friend Banquo and Sean Harris (PROMETHEUS) as Macduff, Macbeth’s nemesis. 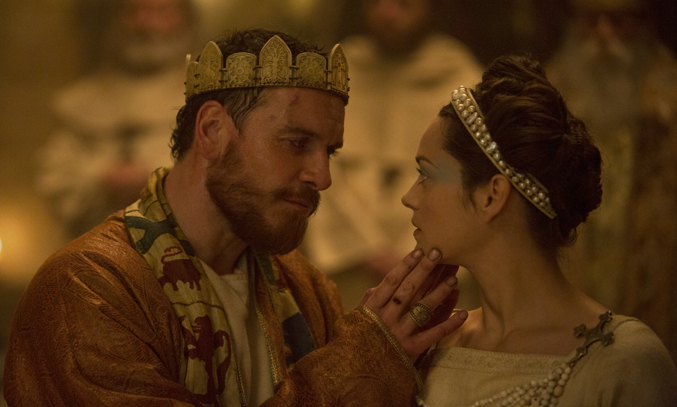 Macbeth [DVD] is released on DVD, Blu-Ray and Limited Edition Steelbook from 1 February 2016.